THIS Saturday, help join the fight against depression by taking part in Ballina's Big Blue Fete. The fete, hosted by St Mary's Anglican Church, supports the efforts of beyondblue, which provides information and support to help everyone in Australia achieve their best possible mental health, whatever their age and wherever they live. beyondblue addresses issues associated with depression, suicide, anxiety disorders and other related mental disorders. The fete will be held this Saturday from 9am-3pm at St Mary's Anglican Church on the corner of Norton and Burnet Sts in Ballina. There will be a wide range of activities, including a jumping castle, a visit from the local fire brigades, face painting and Super Lego competitions. There will also be plenty to keep you energised, including fairy floss, tea, coffee and sandwiches. Ballina Lions Club will be holding one of its coveted sausage sizzles. There will be dozens of stalls with everything from hand-made jewellery to freshly cut flowers, a book stall, plant stall and a delicious slice and sweets stall. 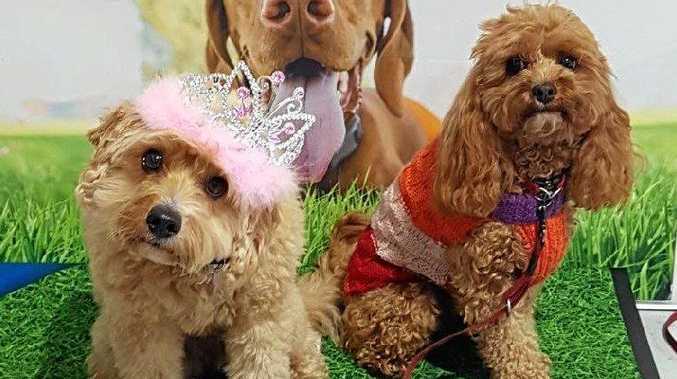 One of Saturday's biggest attractions is set to be when the shire's most pampered pets line up for the Pets Fashion Parade. Set to be judged by Petstock Ballina's Bec Holburn, the 2pm parade will be contested by plenty of energetic canines and a bevy of other animals. Some of the superstars of the show could include seven-year-old spoodle Bella, a cross between a cocker spaniel and a poodle, and two-year-old cavoodle Henry, a cross between a king charles cavalier spaniel and a poodle. Ms Holburn said many animal owners loved to dress up their pets and show them off to friends and neighbours, and a pet fashion parade was an ideal venue for them to "show off”. Rector of St Mary's, Venerable Matthew Jones, said the church had organised a fundraising dinner to support beyondblue - Beyond the Blue Horizon at Ballina RSL on Friday night, with guest speaker Craig Hamilton. "All funds raised at the fete will also go to beyondblue in recognition of the work it does in the spheres of mental health, anxiety and depression,” Rev Jones said.